Join us at Church of the Advent Hope this Saturday, March 23, at 2:00pm to dig deeper into such an incredibly important and relevant topic with Joyce Short. “Consent” is the crucial weapon in the war on sexual assault!” says Consent Crusader and victim’s advocate, Joyce Short. “While #MeToo and #TimesUp have raised awareness, they’re a movement in desperate need of a solution,” Short says. She’s researched the laws from coast to coast and found that there’s not a single state that correctly defines consent. She aims to change that, and to help today’s children grow up in a world where they, and our laws, clearly understand the meaning of consent. Ms. Short’s efforts to fight sexual assault have supported new bills that are currently pending in Indiana and South Carolina. She’s been featured on Nightline, Buzzfeed, Inside Edition, and more. Her TEDx Talk, When YES Means NO – The Truth about Consent, can be seen on YouTube. 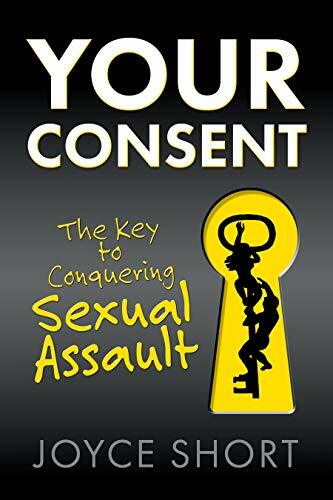 Her new book, Your Consent – The Key to Conquering Sexual Assault is available for pre-release on Amazon. The launch date is March 28th. Ms. Short is a recipient of a “Woman of Distinction” honor by the NY State Assembly. She can be reached at her blog, www.ConsentAwareness.net or at info@ConsentAwareness.net. Previous PostPut #CONSENT to Music! CONTEST!Next PostHmmm- Where’s my prize for World Poetry Day?